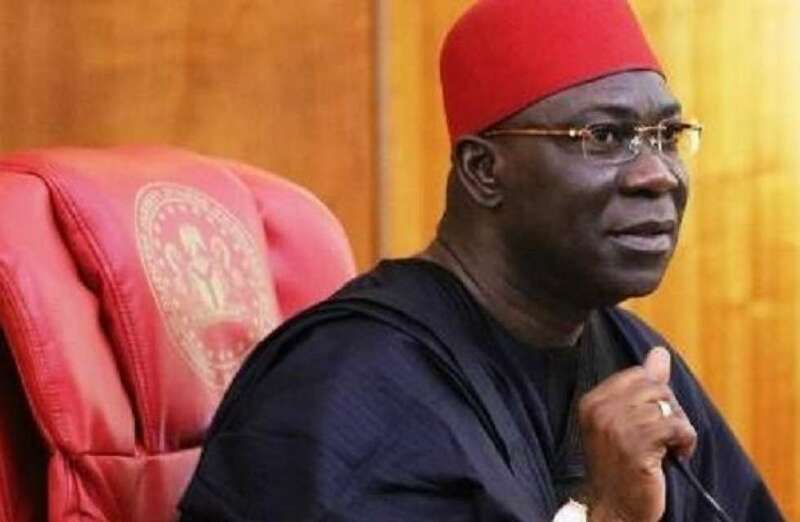 As Nigeria’s Super Eagles file out today in their World Cup opener against Croatia, the Deputy Senate President, Ike Ekweremadu has observed that Nigerians are now more divided like never before. Super Eagles will Saturday evening face Croatia in their Group D, while Argentina will begin hostilities with Iceland also today in the ongoing Russia 2018 World Cup. The Senator was however, quick to note that “a brilliant outing by the Super Eagles at the 2018 FIFA World Cup in Russia would help to heal the wounds of the divisions in the country”. In his terse goodwill message to the team made available in a statement by his Special Adviser on Media, Mr. Uche Anichukwu, the Deputy Senate President said he believed the Gernot Rohr-tutored team would do well, charging them to go for goals. According to him, “Nigeria is more divided today than at any other time in her history. But for us, football is the tonic that heals old wounds. We need a truly super and brilliant outing by the Super Eagles at the event to help reunite a divided nation. Latest results from some matches already played did not favour Africans as both Morocco and Egypt failed in their openers on Friday with one goal margin for Iran and Uruguay respectively.